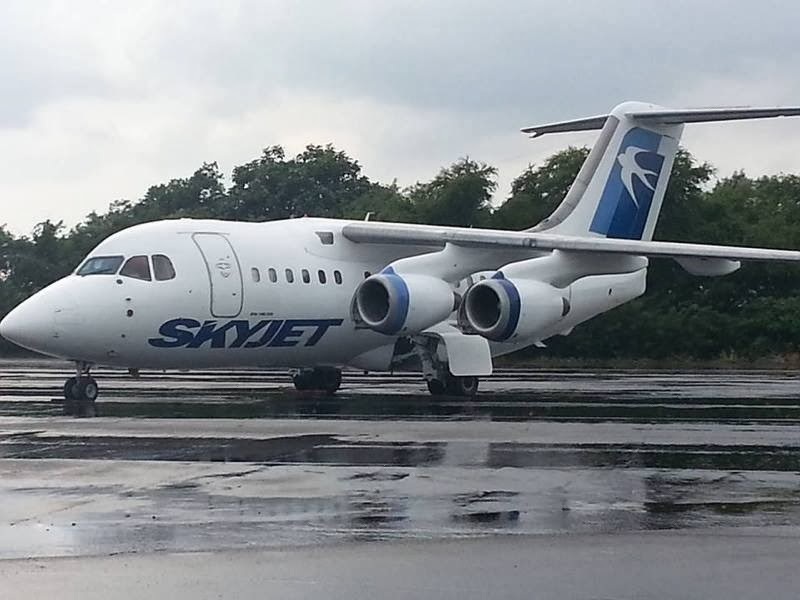 SkyJet Airlines is poised to make a come back this coming February after being grounded for more than two months when its aircraft overshot the runway at Balesin Island in October 2013. SkyJet Airlines is planning to resume service this coming February 3, 2014 with three weekly flights operated every Monday, Wednesday, and Friday. Service to Coron is also expected to be re-instated in February. SkyJet's additional member to their fleet is the BAE146-100 with 79 seats with a smaller fuselage that will be able to land in Caticlan. 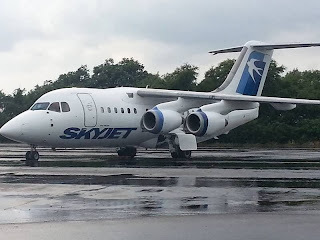 According to an official at SkyJet Airlines, the newest member of the fleet, the 79-seat Bae 146-100 aircraft comes with a smaller fuselage and less seats than its 94-seat predecessor but the new aircraft will have the ability to land on the short runway at Caticlan Airport, the nearest gateway to Boracay Island. The airline is planning to introduce service between Manila and Caticlan Airport in April of 2014.